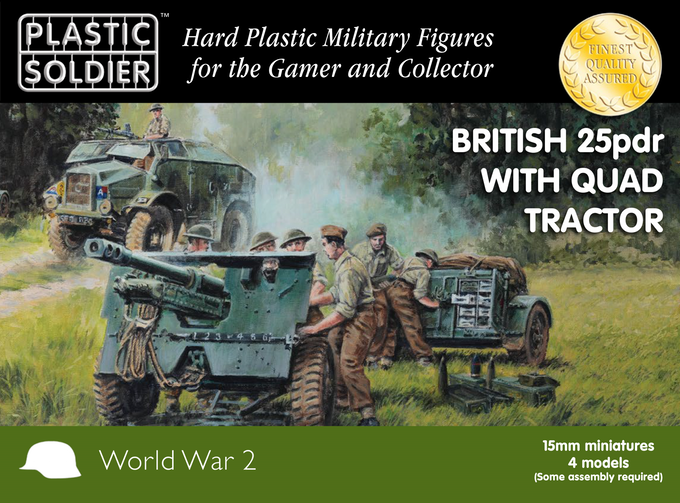 The Plastic Soldier Company WW2 British 25 pounder artillery and tractor kit has entered into its final week, and has done really well, funding several gun and tractor variants as well as brand new box kits for CMP 15 CWT trucks in both 15mm & 1/72nd. The project is very close to its next stretch goal of 4 Battery HQ figures. After that, Sexton SPGs are on the horizon, though this is still a long way away. Really pleased to see this project having such a success – don’t forget that you can order any of the existing PSC box sets in the project at 20% discount at no extra shipping.